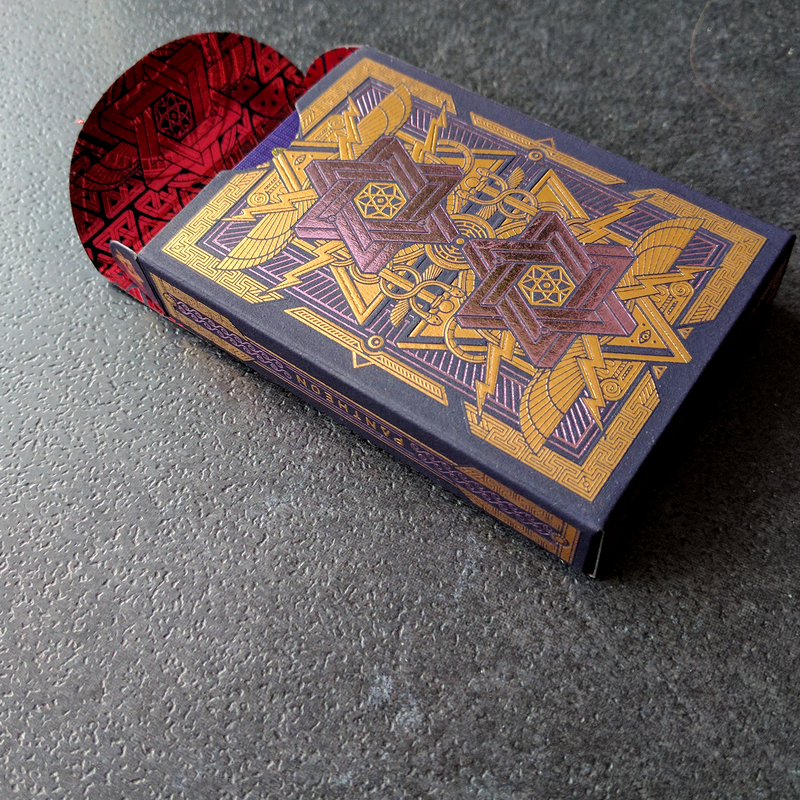 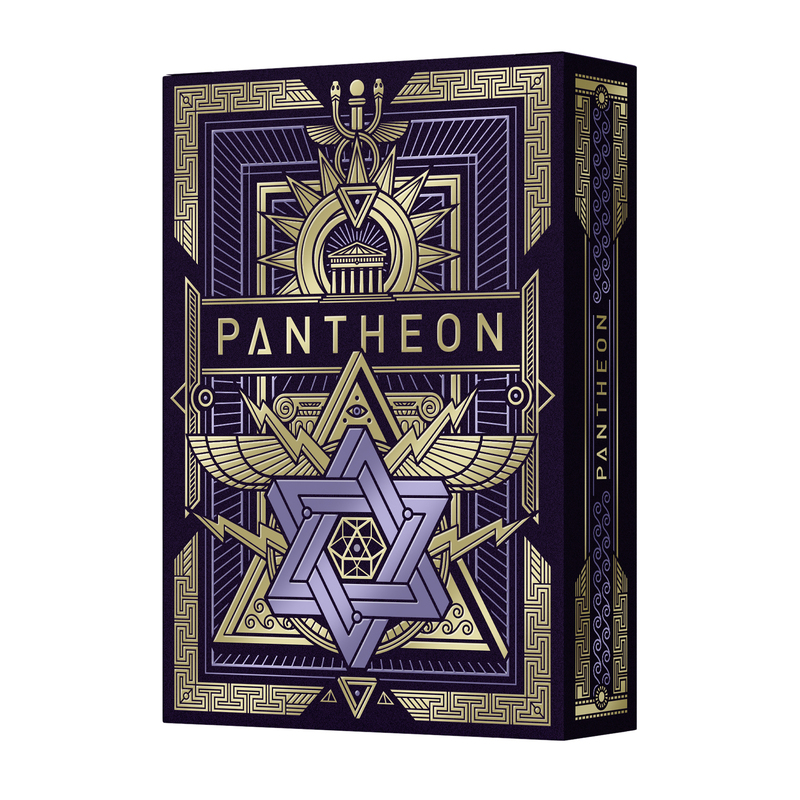 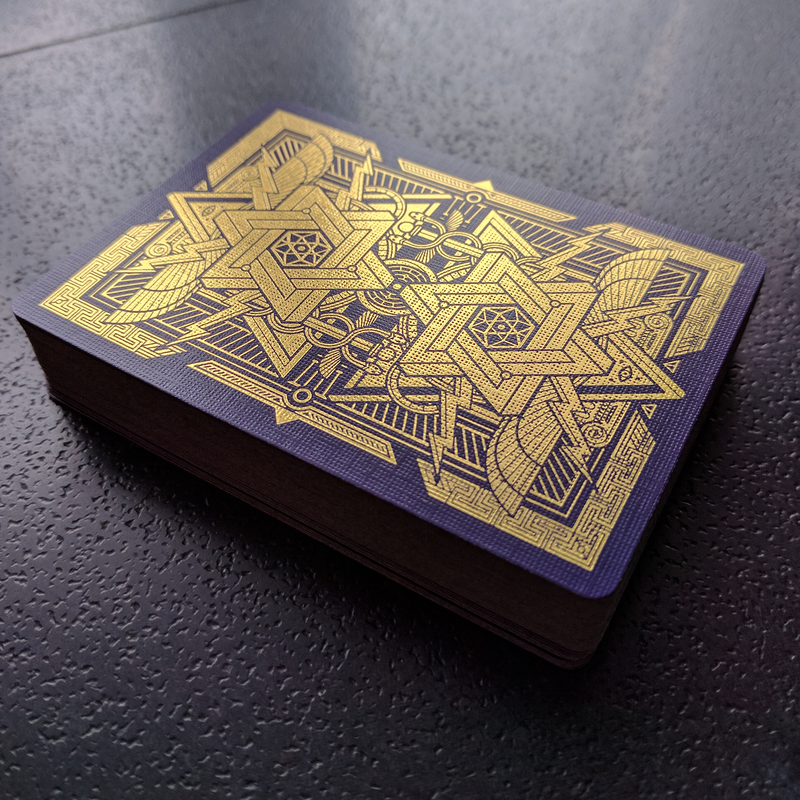 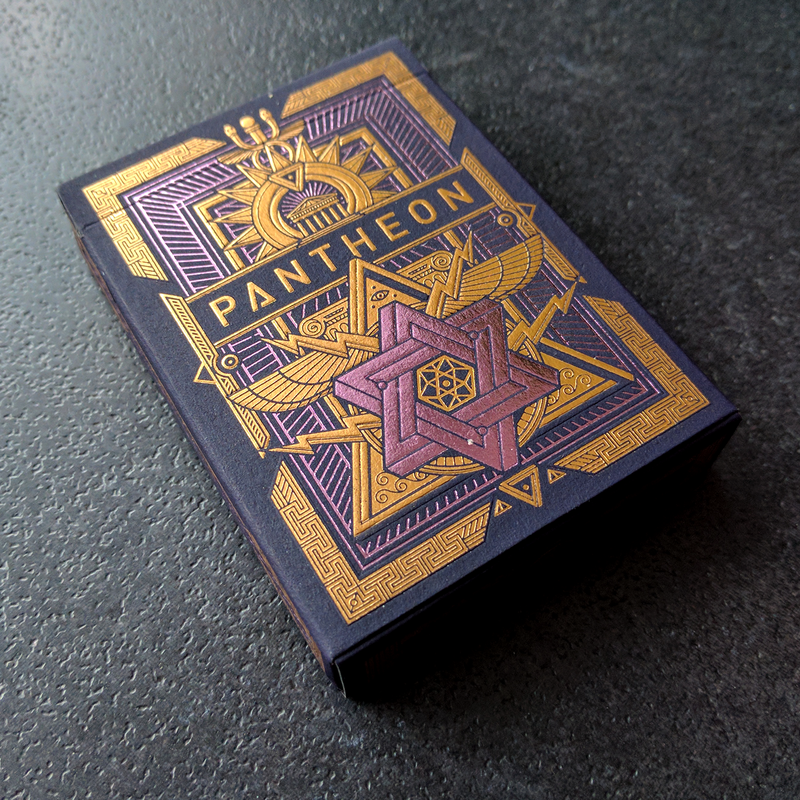 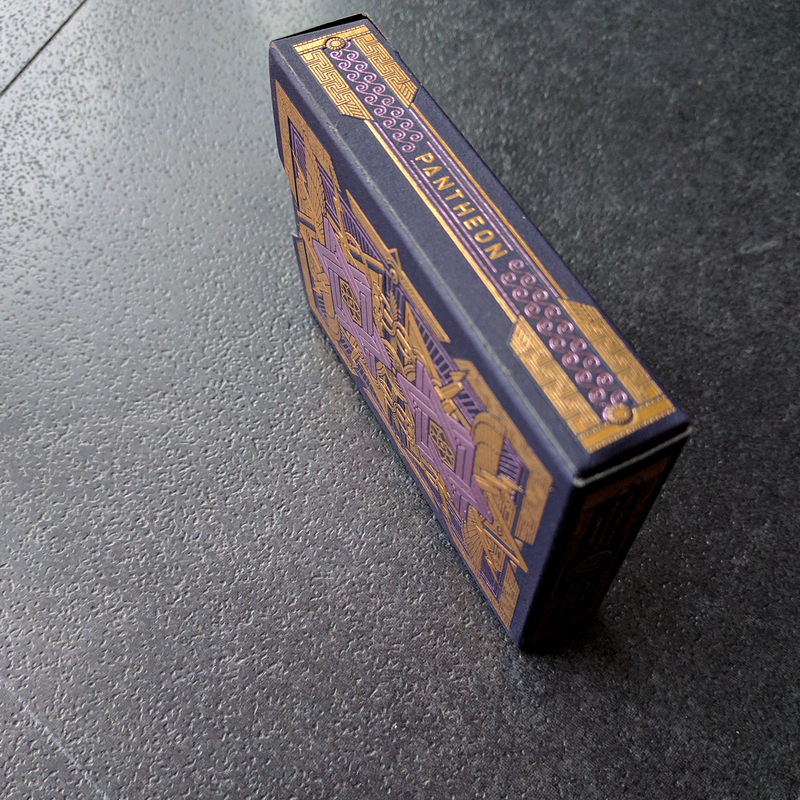 Pantheon is a limited deck from Thirdway Industries, with a luxurious tuck box and gold foil on card backs. 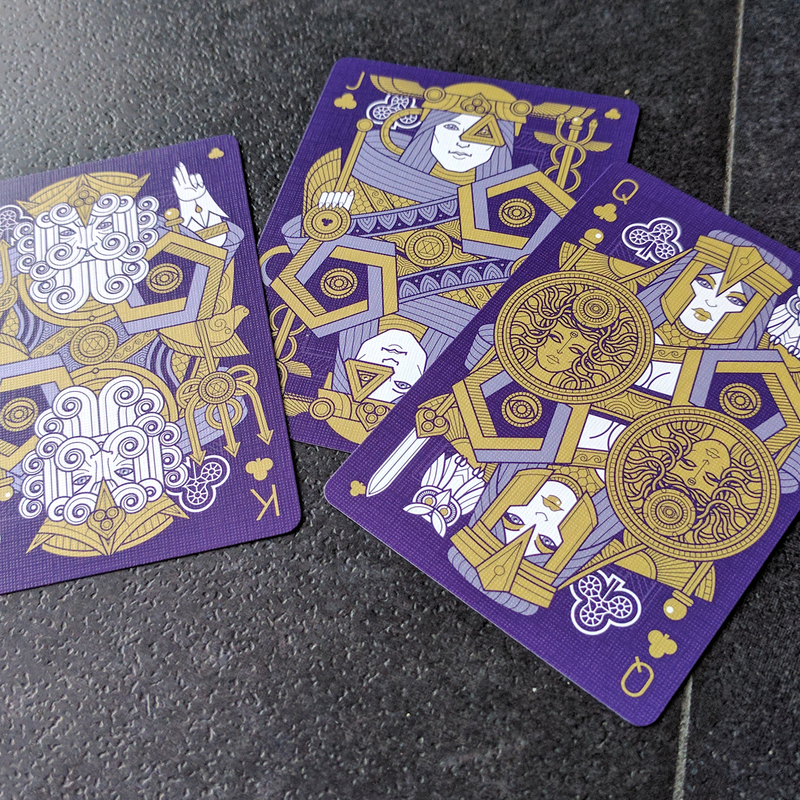 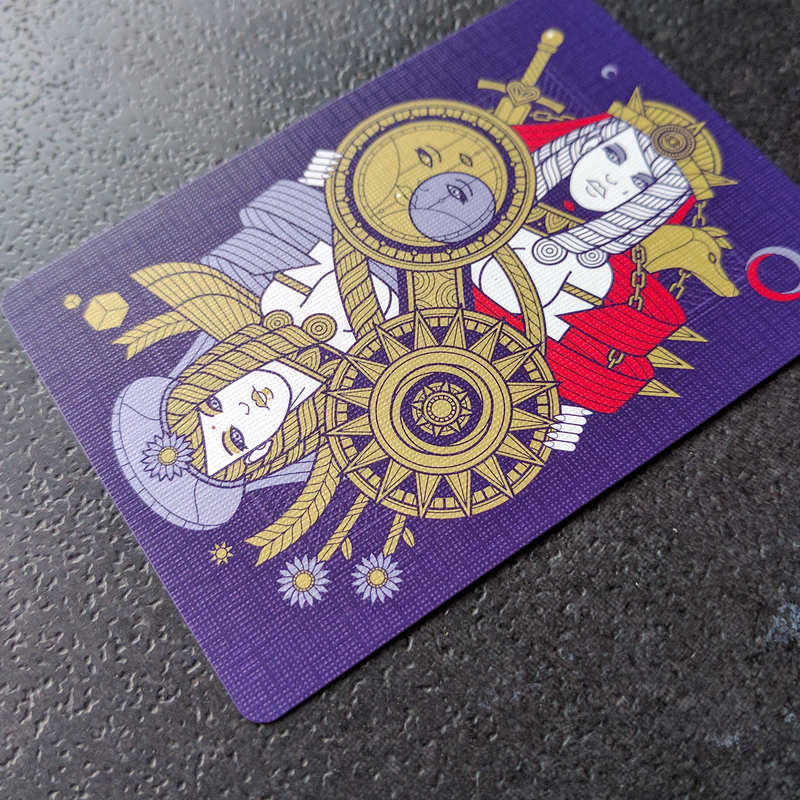 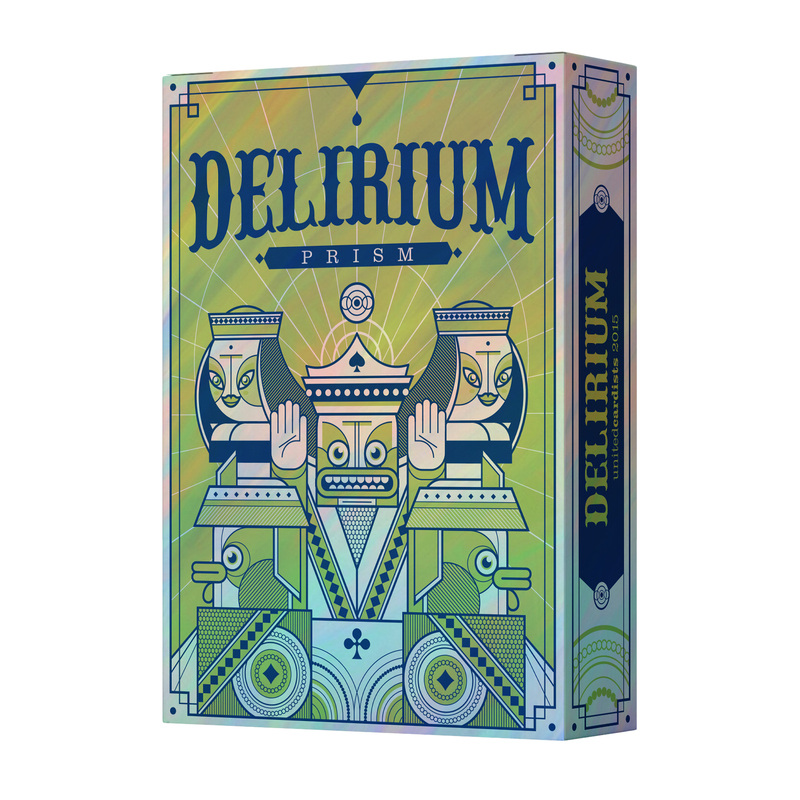 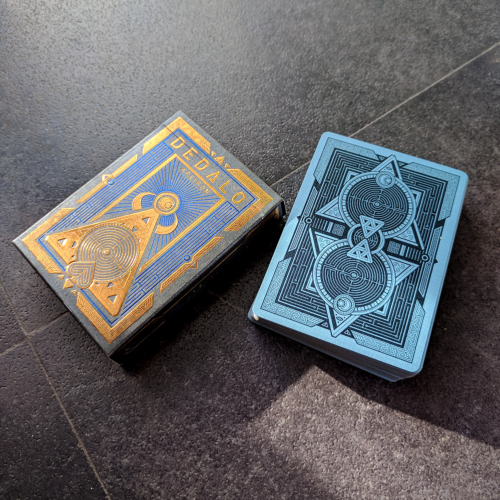 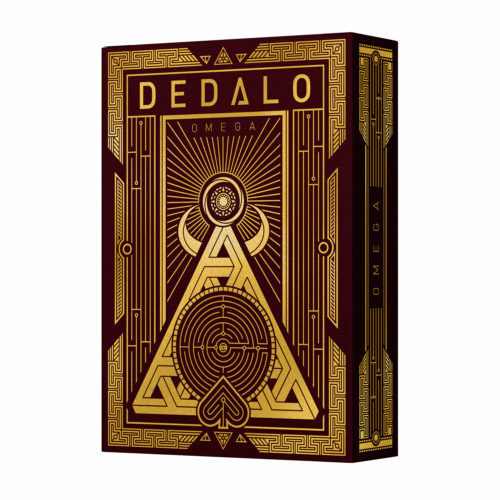 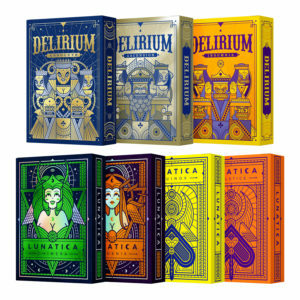 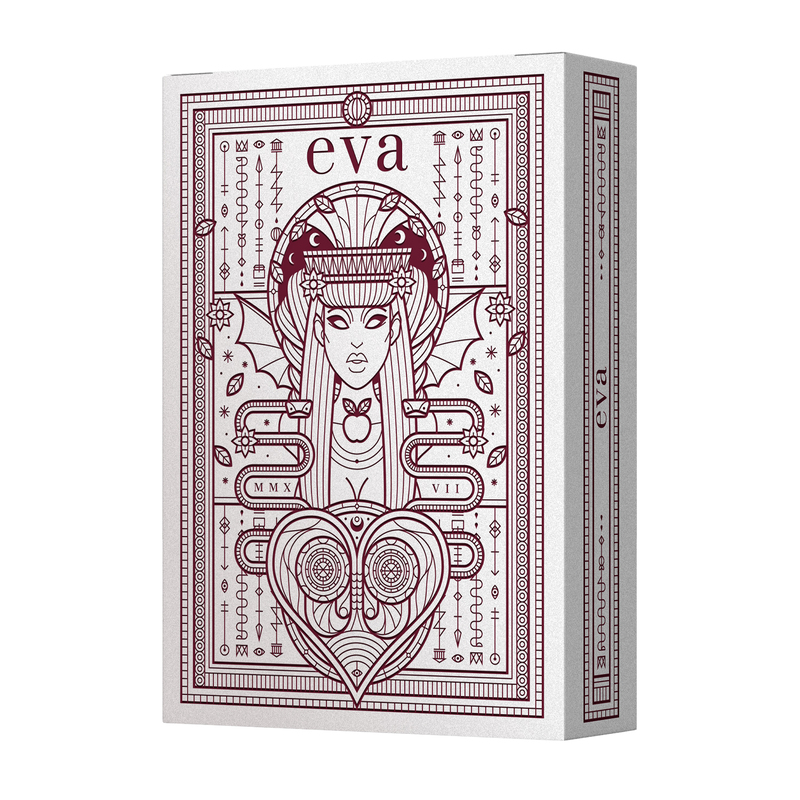 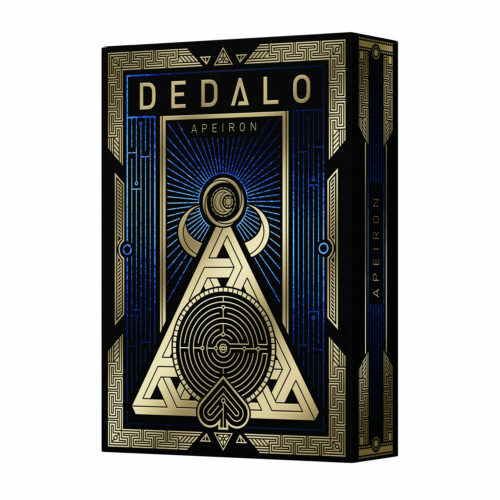 I consider it a spin off of Dedalo, and all the court cards are Greek Gods. 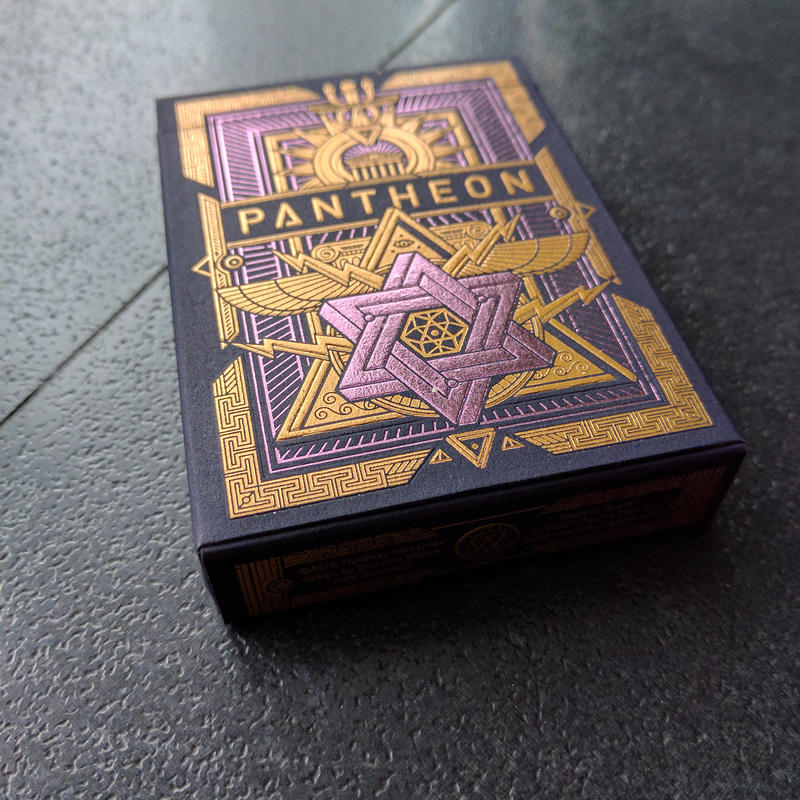 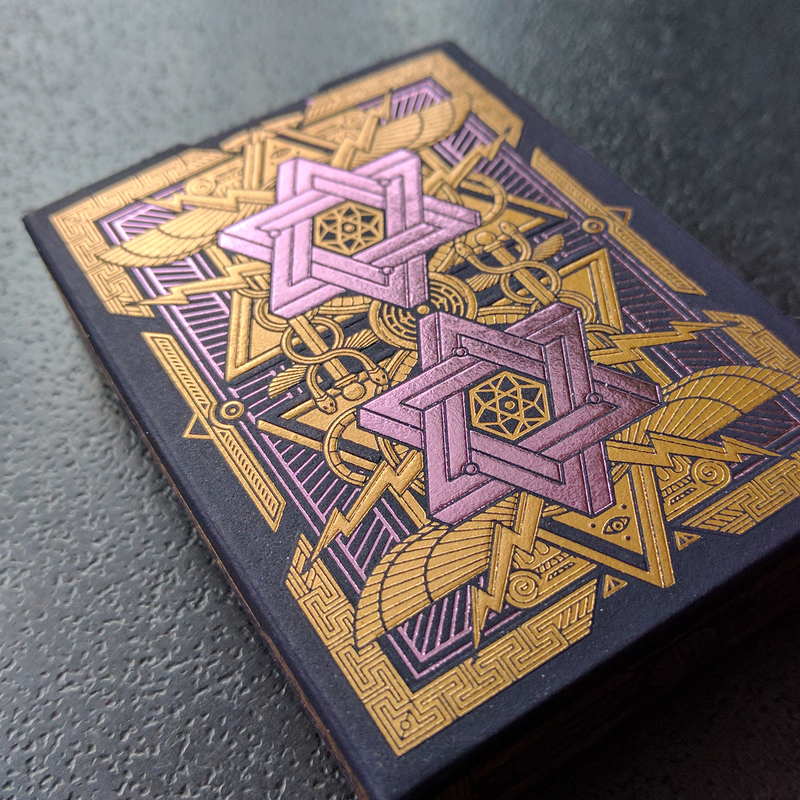 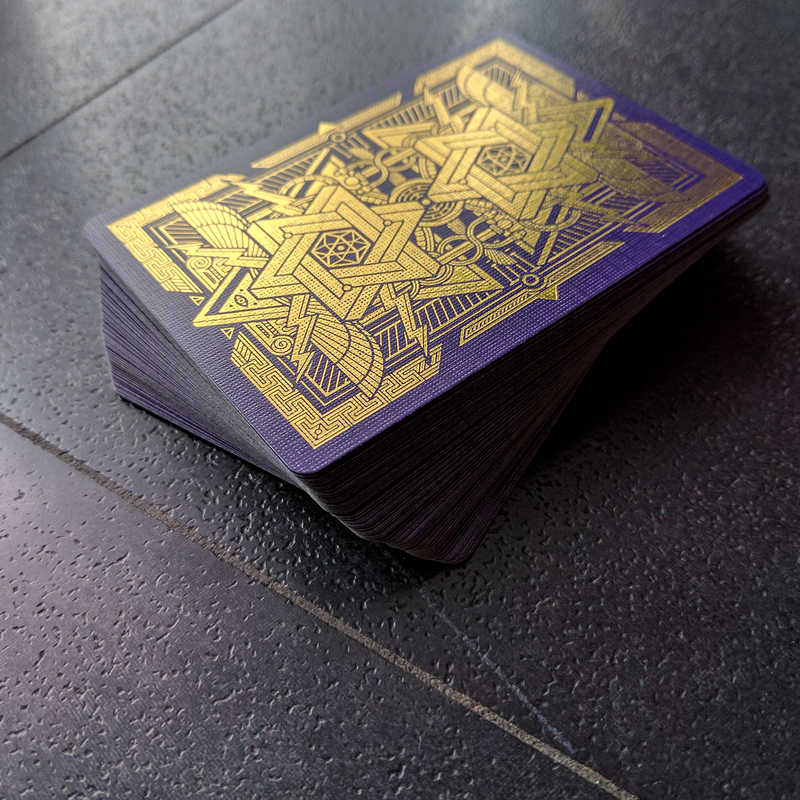 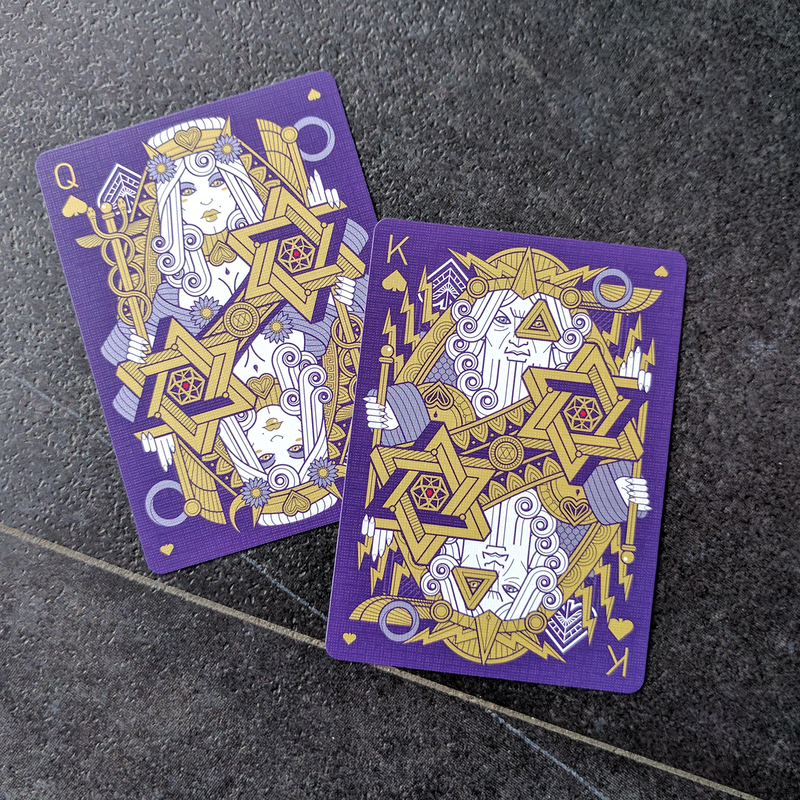 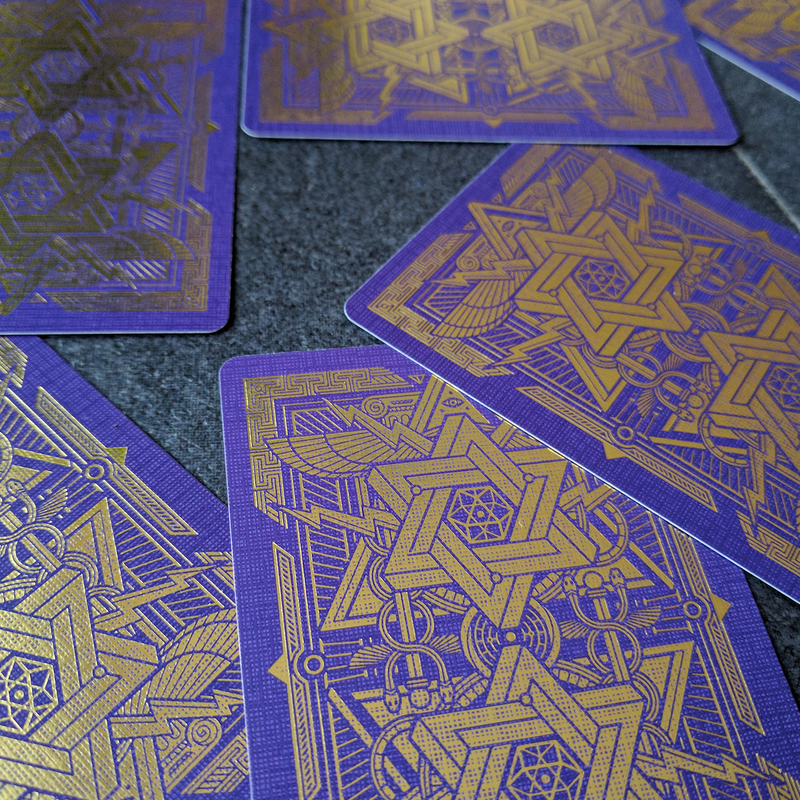 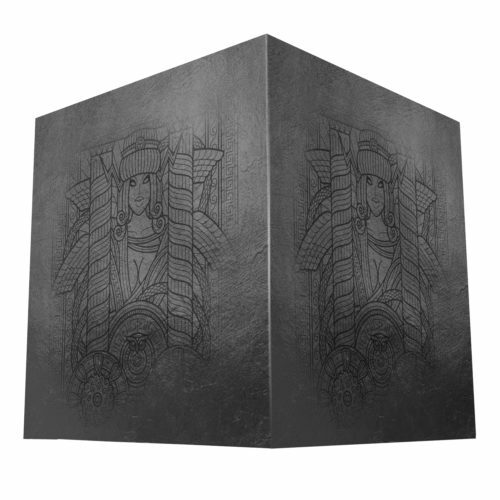 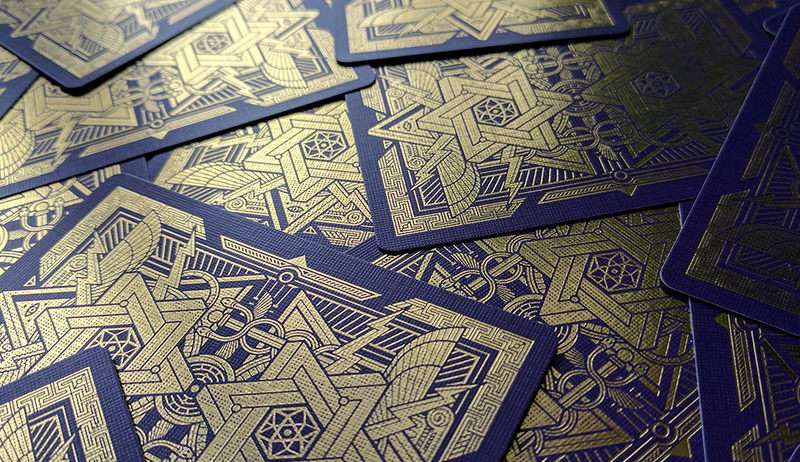 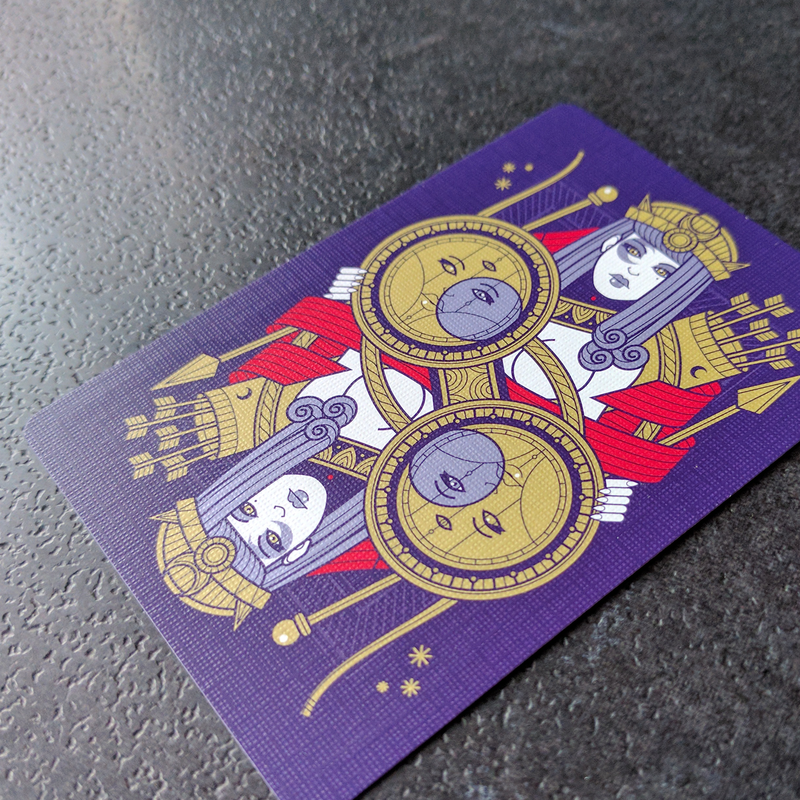 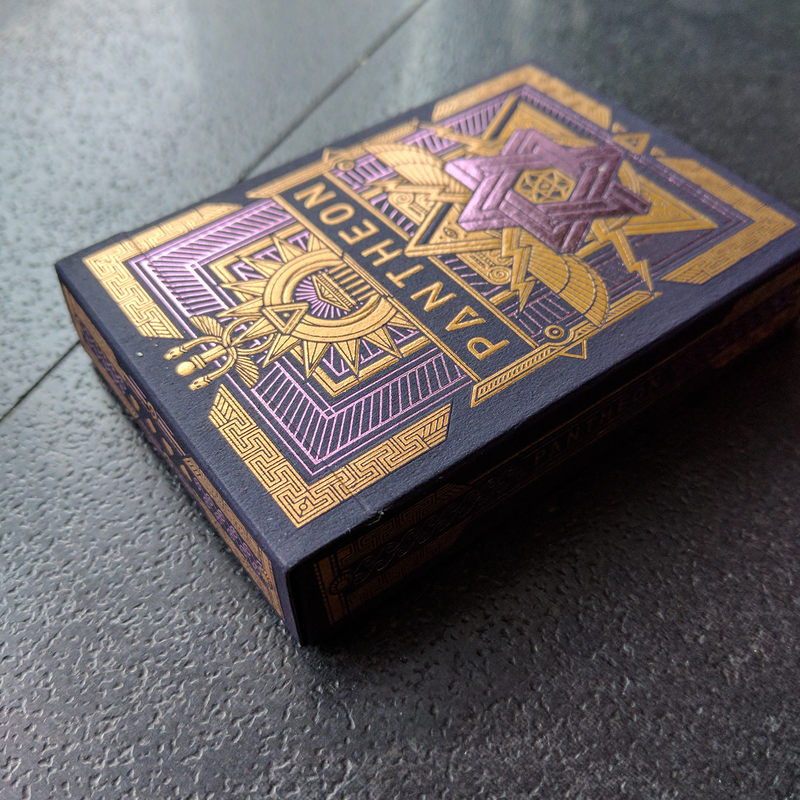 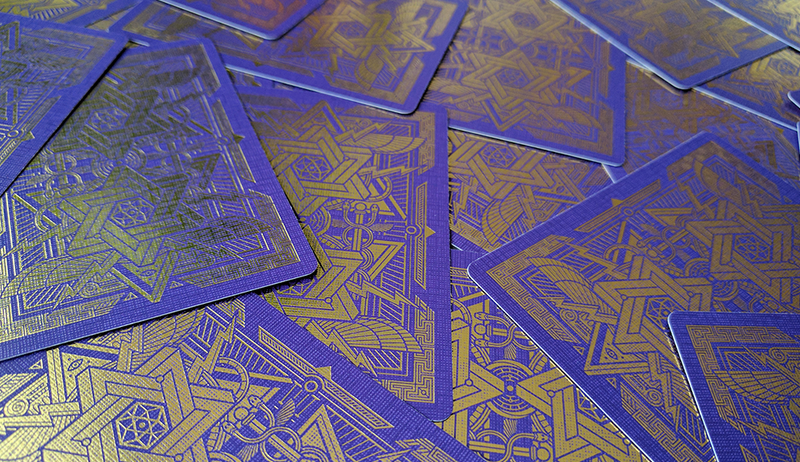 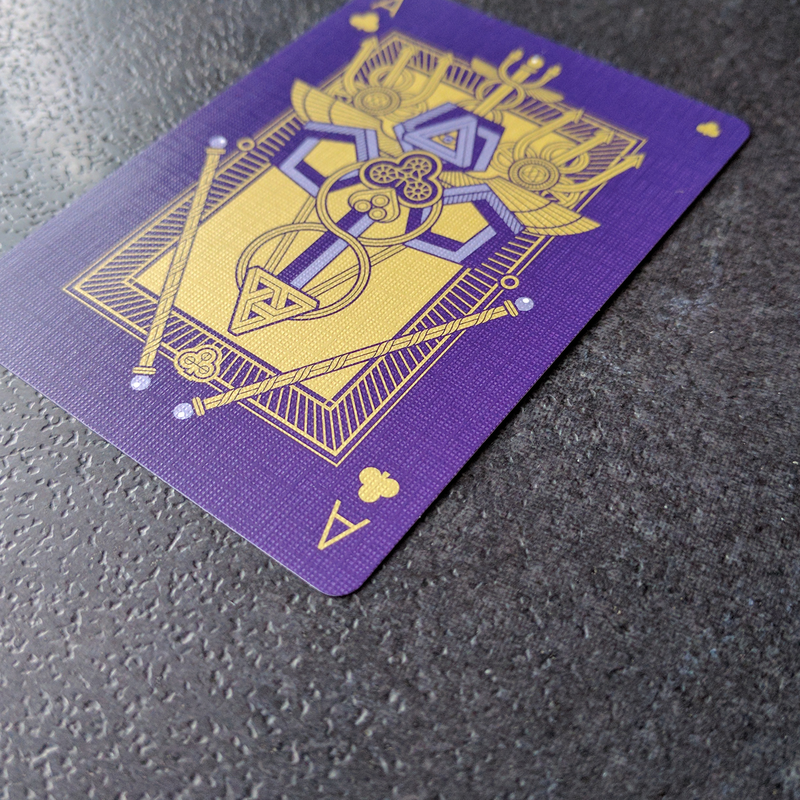 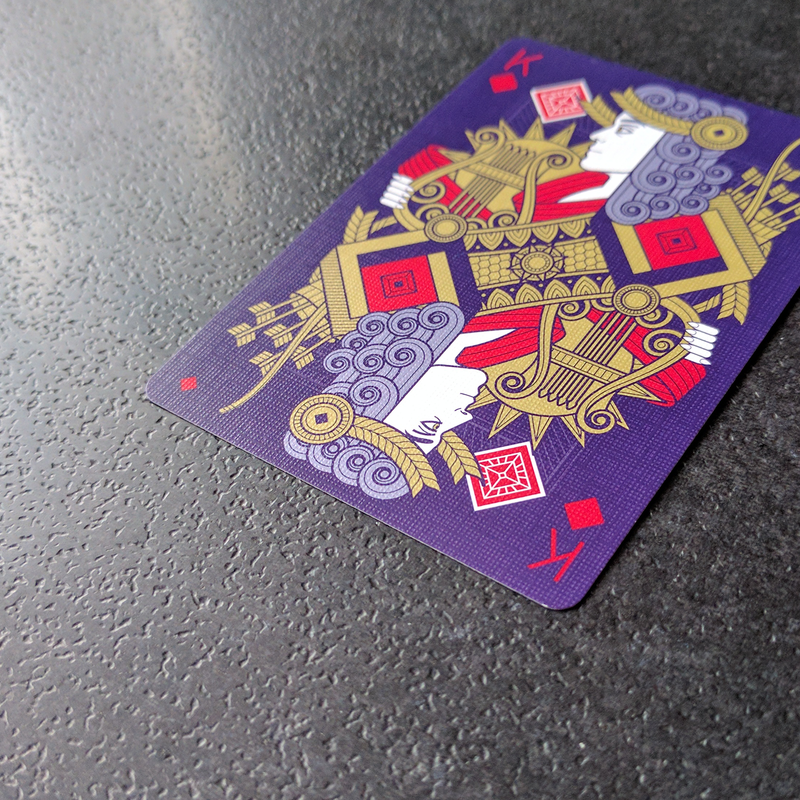 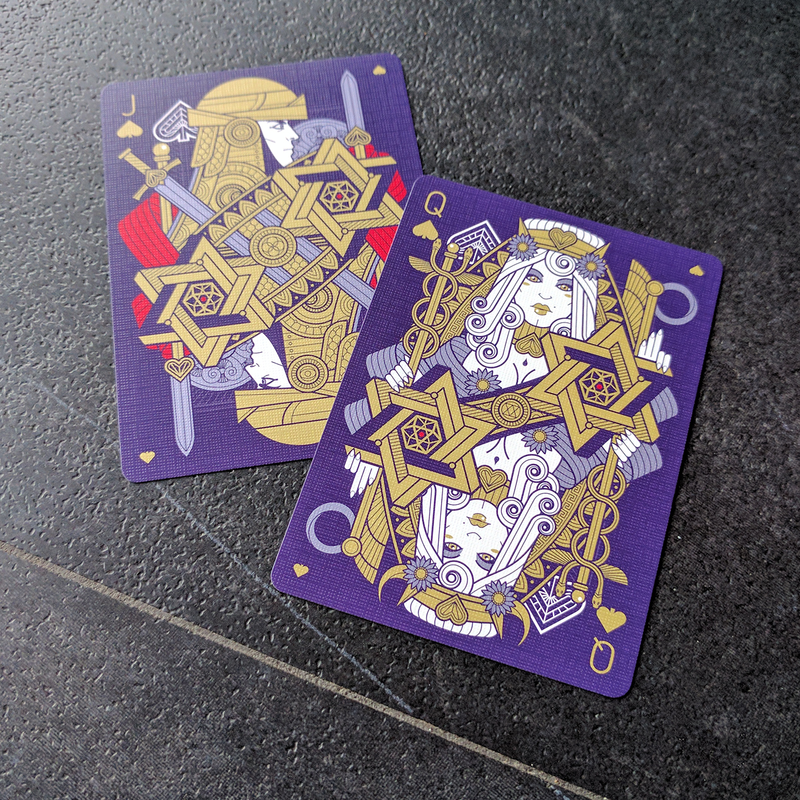 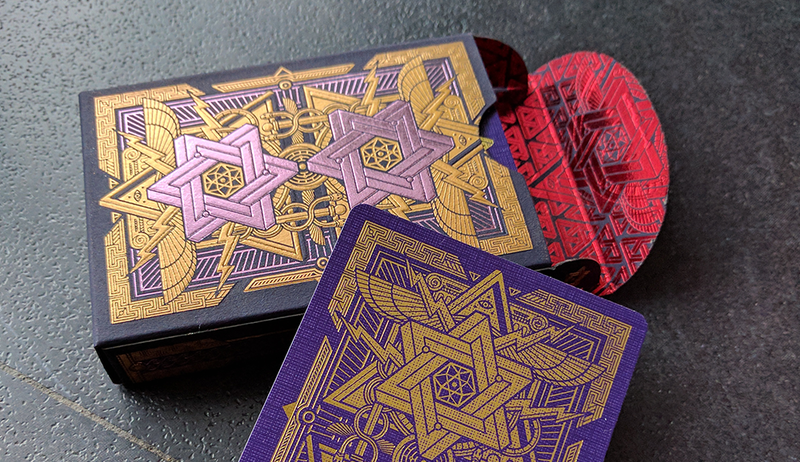 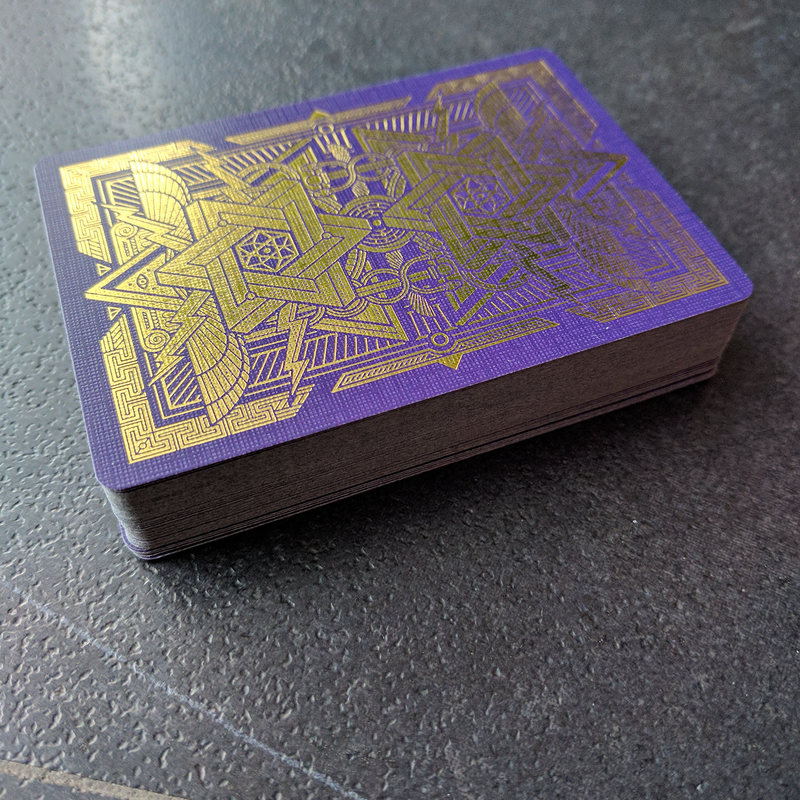 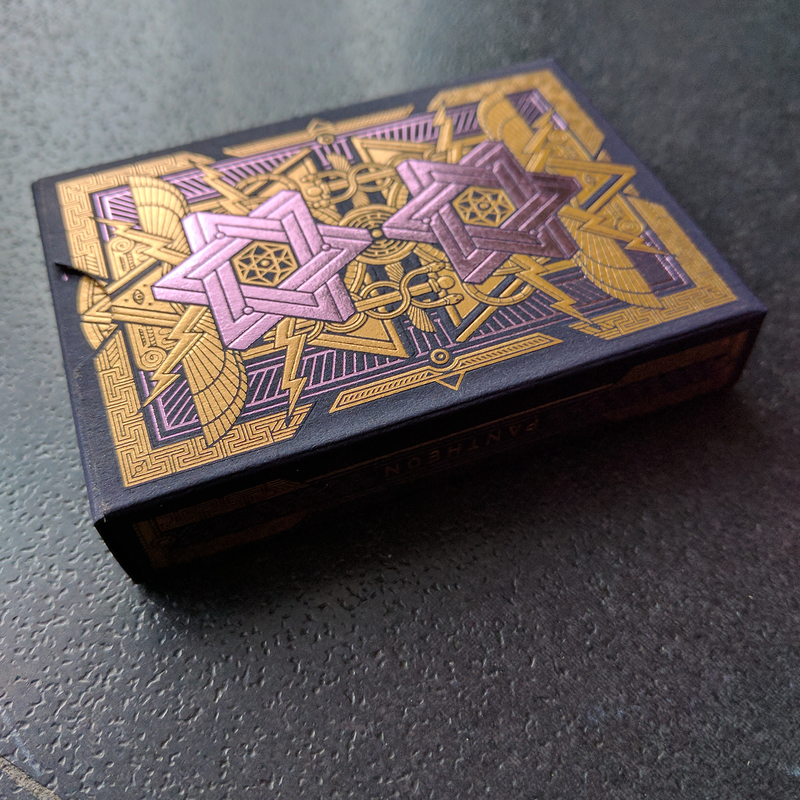 Pantheon deck is the most luxurious produced so far by Thirdway Industries. 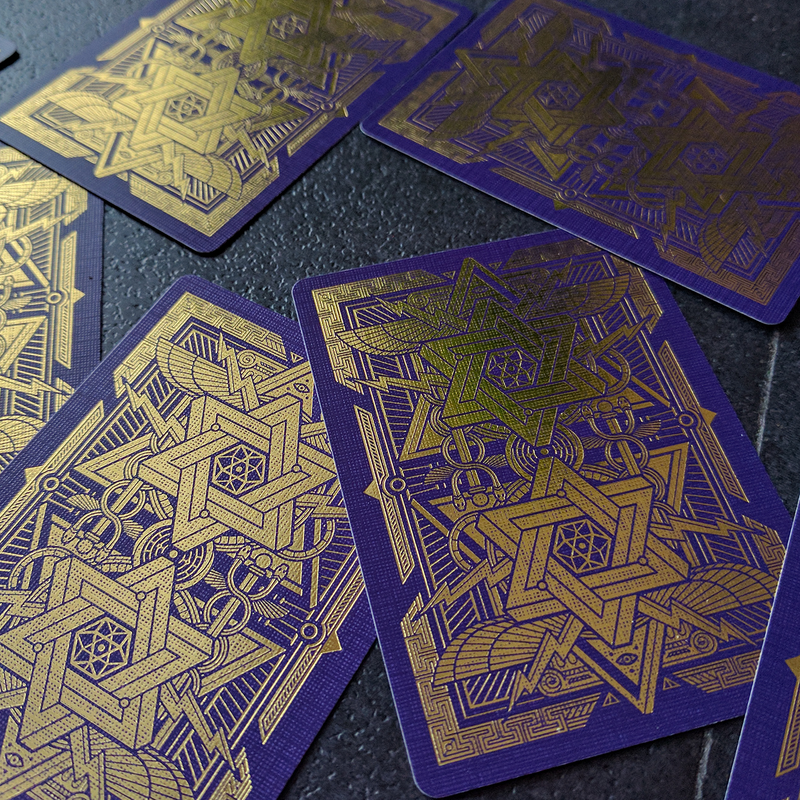 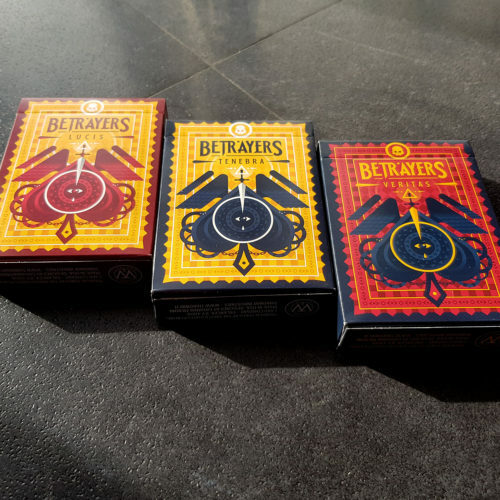 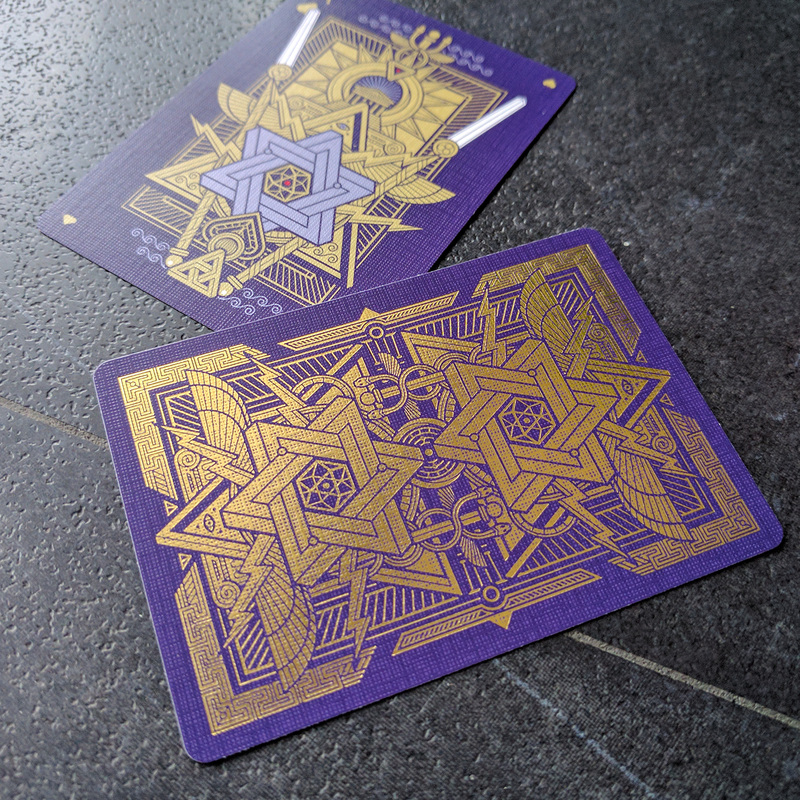 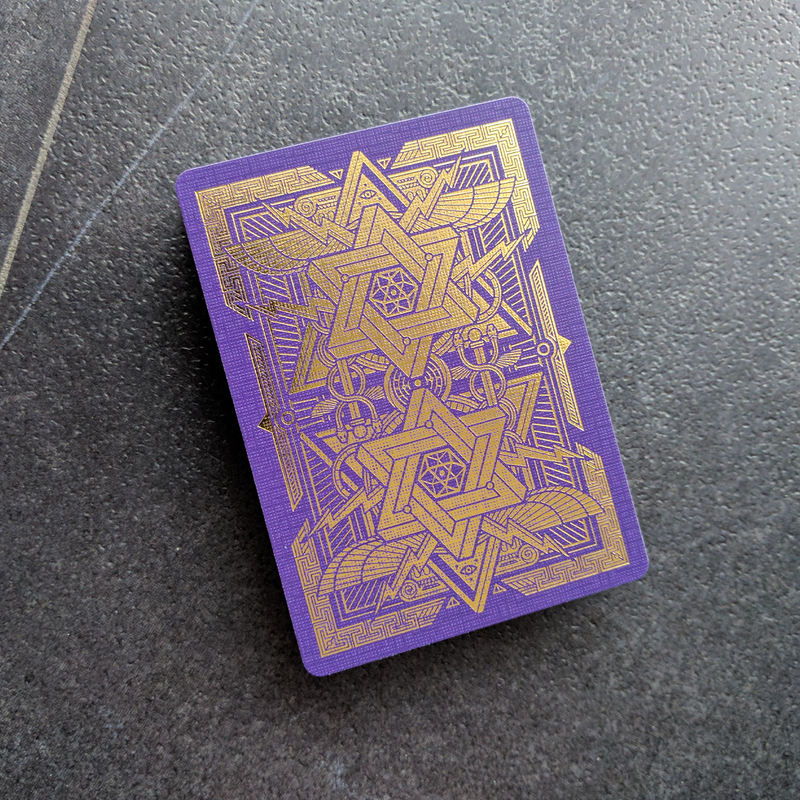 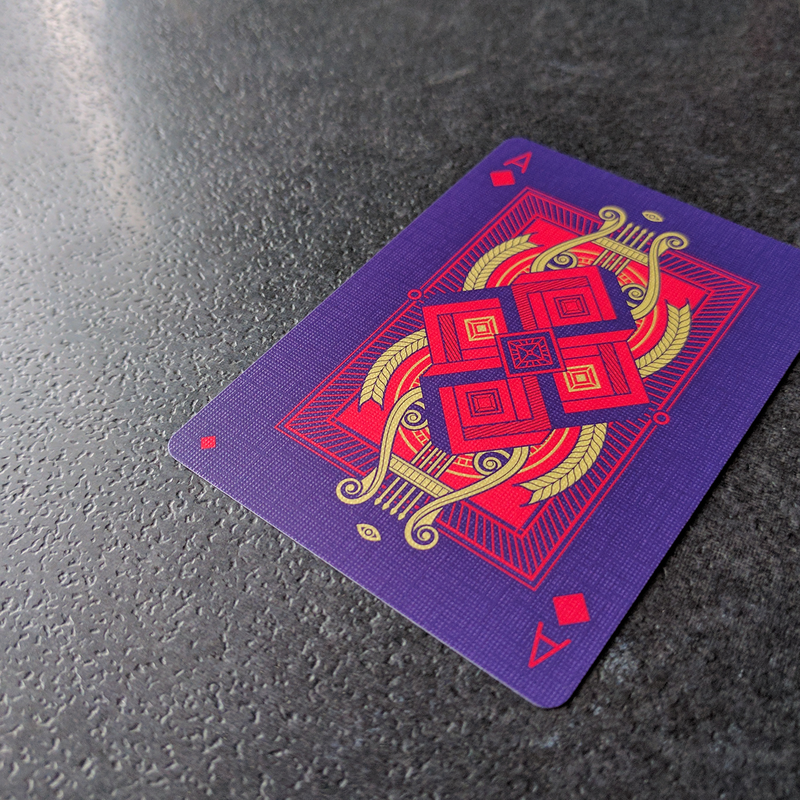 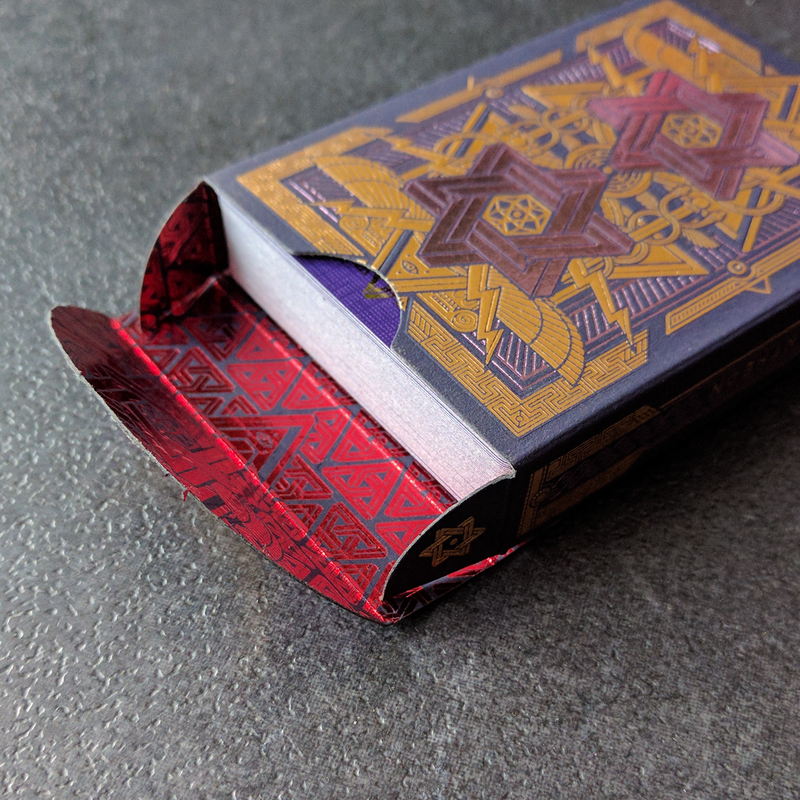 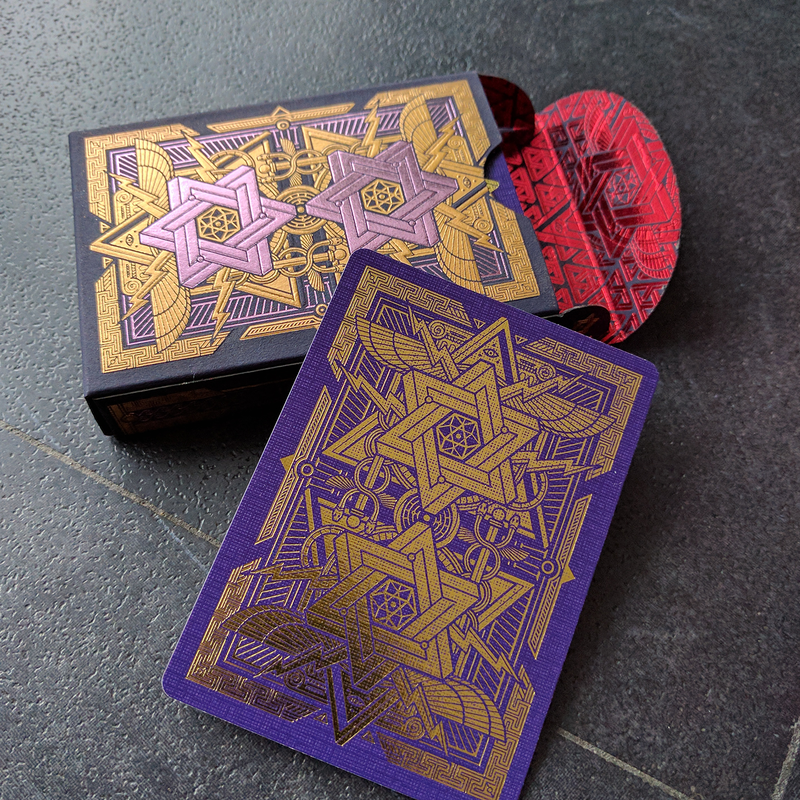 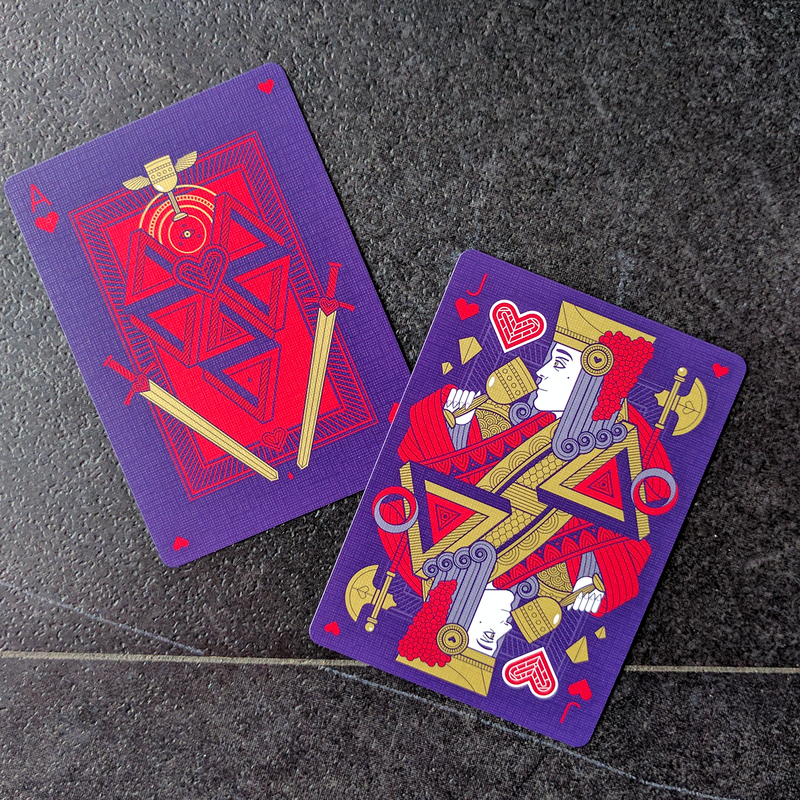 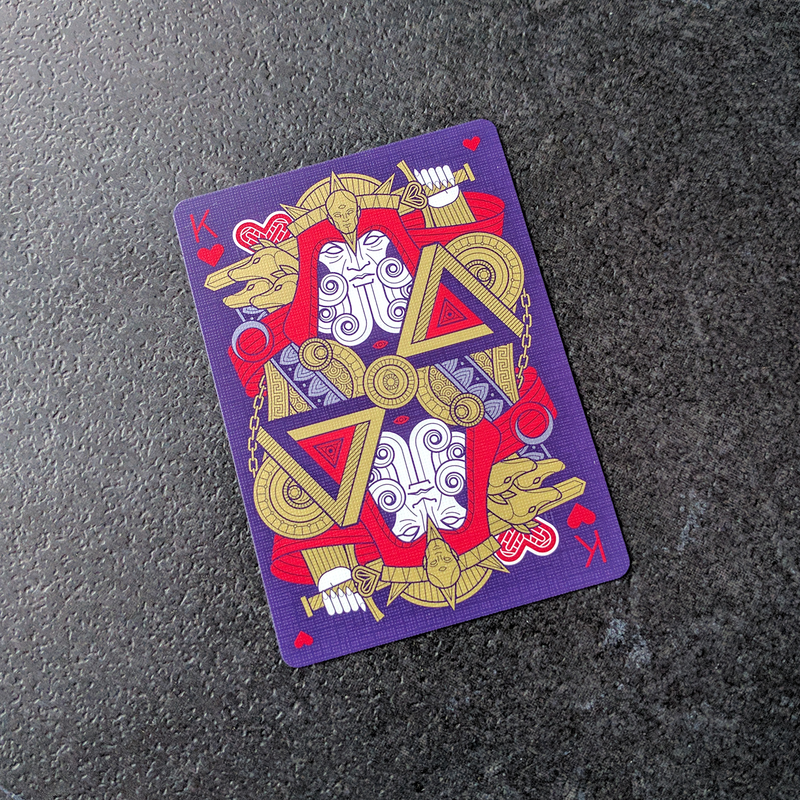 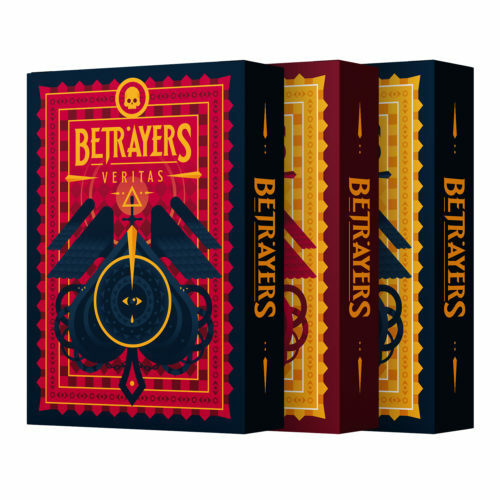 It uses a premium soft touch dark blue paper with purple and gold foil on outside and red foil on inside. 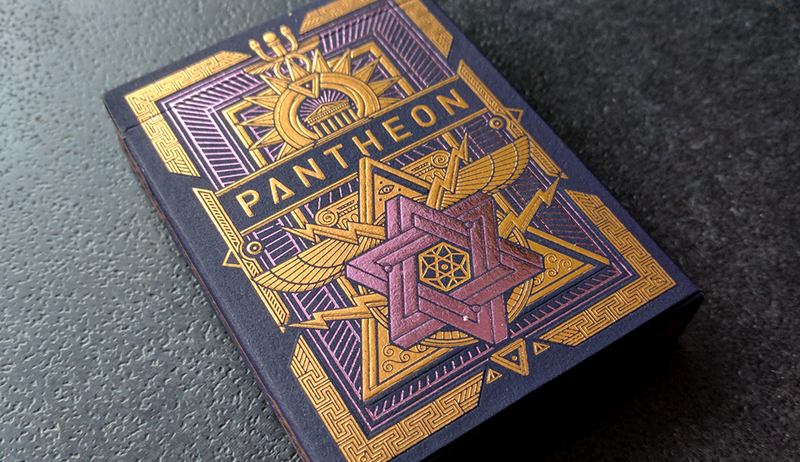 The story of Pantheon is the story of the Greek Gods. 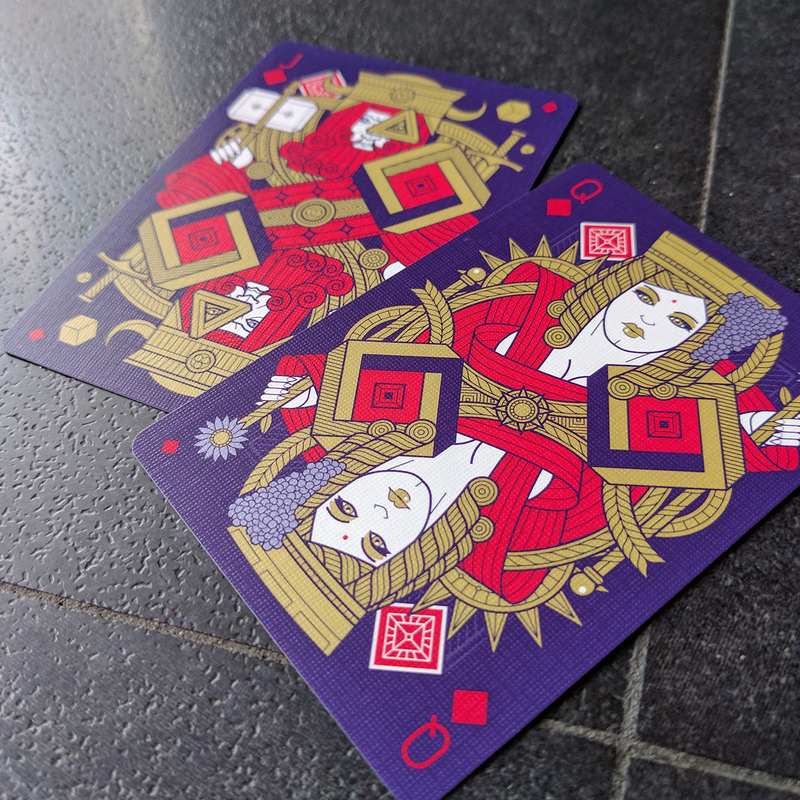 Spades are Jack Ares, Queen Hera and King Zeus. 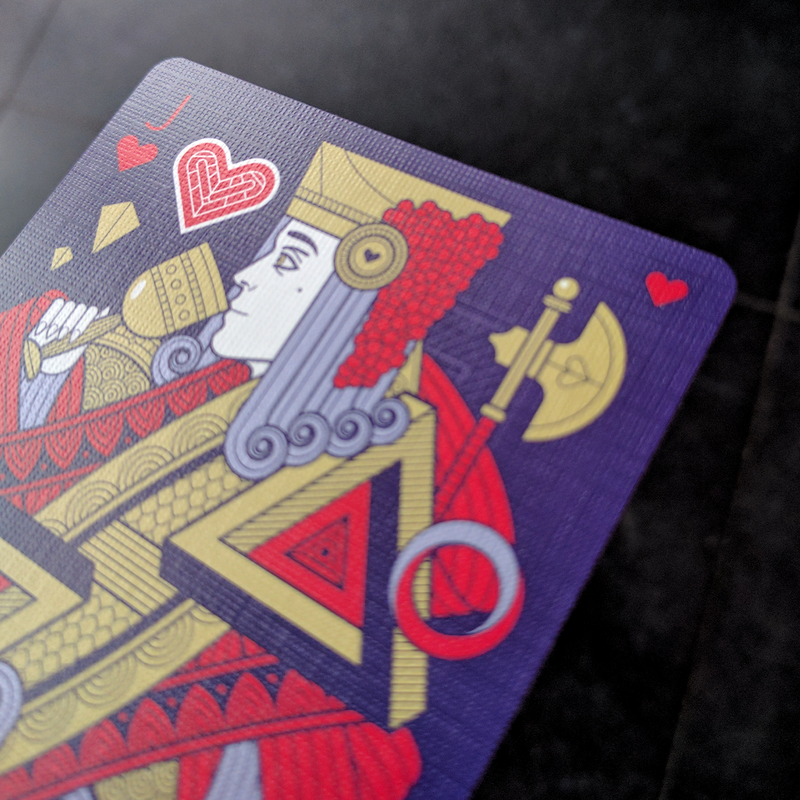 Hearts are Jack Dionysus, Queen Aphrodite and King Hades. 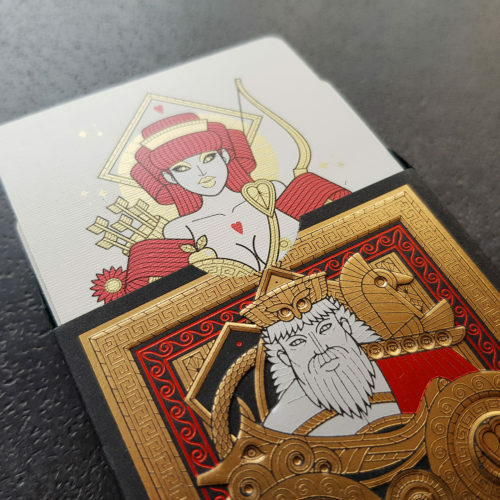 Clubs are Jack Hermes, Queen Athena and King Poseidon. 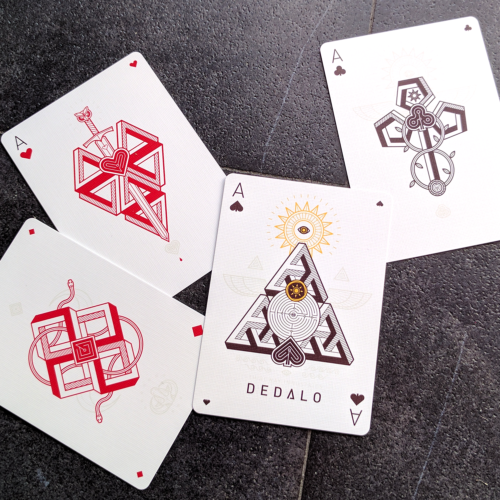 Diamonds are Jack Hephaestus, Queen Demeter and King Apollo. 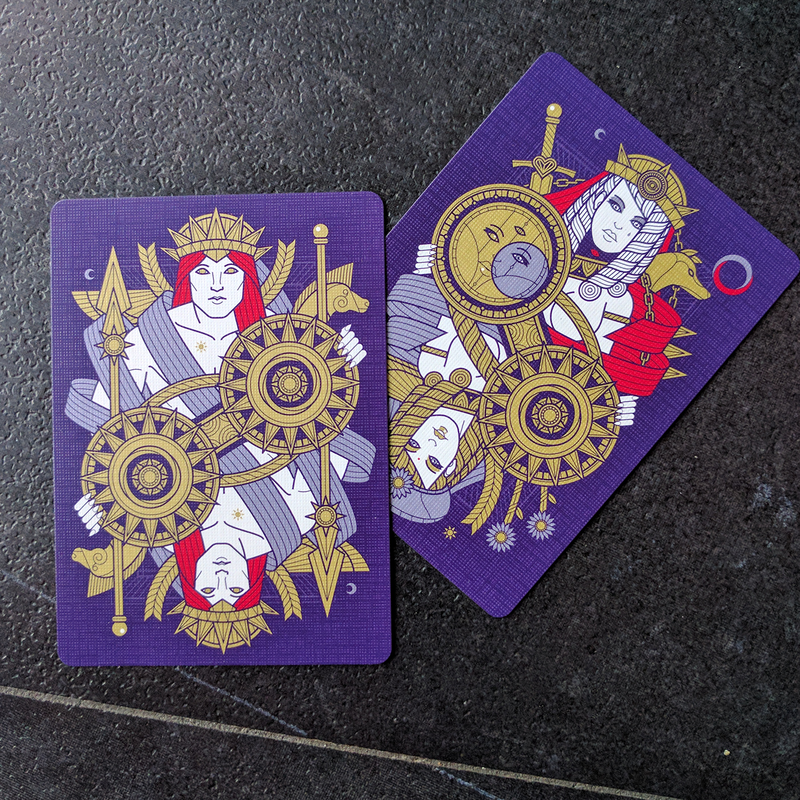 Jokers are Helios (Sun) and Artemis (Moon). 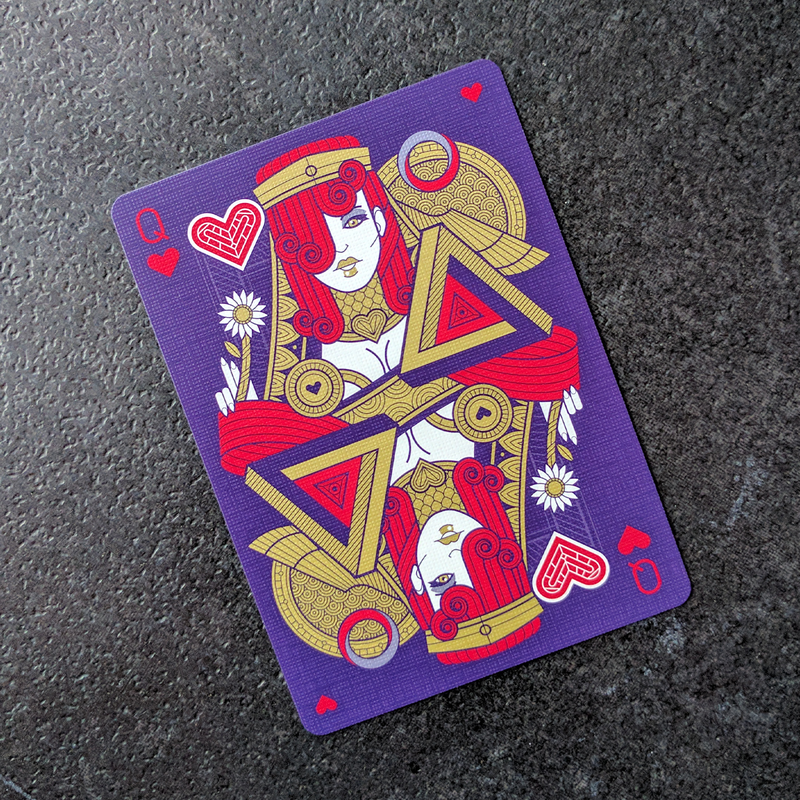 There is also a third-gaff joker, Persephone. 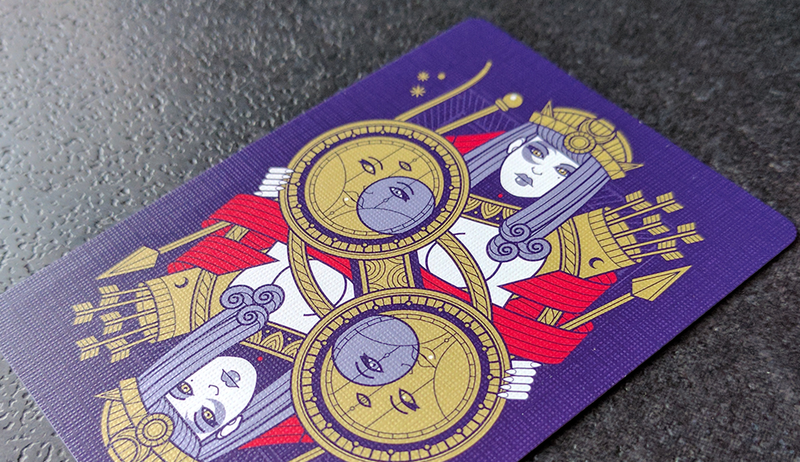 She’s the Queen of Hell, wife of Hades on one side and the Queen of Spring, daughter of Demeter on the other.